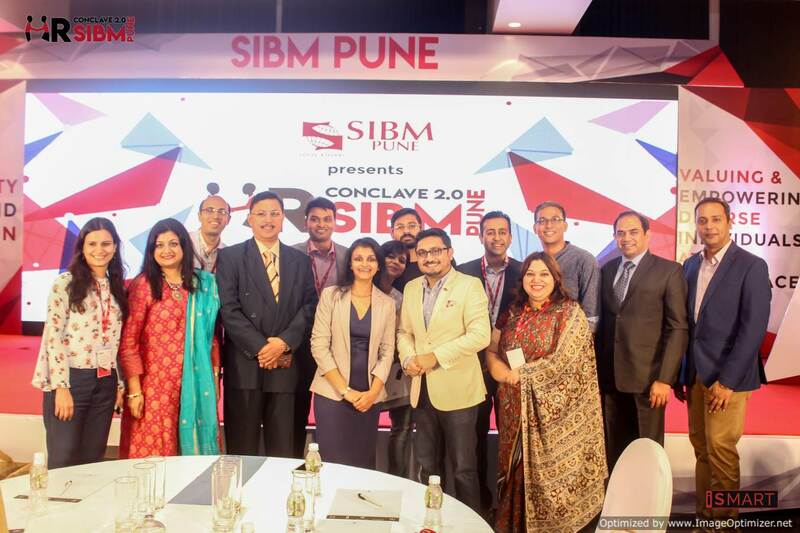 SIBM Pune hosted erudite leaders and HR professionals of various organisations under one roof at the HR Conclave 2.0 at J W Marriott, Juhu. Mr. Unmesh Pawar – Partner, Head – People, Performance & Culture at KPMG delivered his keynote address on understanding the importance of diversity and inclusion in an organisation. Dr. Prince Augustin – EVP – Group Human Capital & Leadership Development at Mahindra & Mahindra was awarded Life Time Award for Alumni Contribution and Mr. Sankalp Potbhare – Managing Director – South Asia at The Kraft Heinz Company, received Young Alumni Achiever Award. Mr. Jay Thakkar – Head Business HR at Aditya Birla Housing Finance Limited and Mr. Santosh Vellanki Head – Talent Acquisition & Young Talent Management, Lead HRBP for Corporate Functions at UPL were also felicitated for their exceptional contribution as alumni of SIBM Pune. HR Conclave 2.0 witnessed two panel discussions on the topic of ‘Diversity and Inclusion' at workplace amongst the HR Honchos and esteemed leaders of multiple organisations. The first panel discussion was on the topic ‘Addressing unconscious bias, micro-aggressions and intersectionality at workplace' during which Mr. Nikhil Inamdar, the moderator, put across a wide range of interesting and introspecting questions about biases and their impact on inclusivity to the panel members. The second panel was moderated by Mr. Rohit Shenoy, Leader – Organization and Talent Development at Sterlite Power, who very interactively opened the floor to the panellists and the audience to discuss on the topic 'Creating a competitive advantage by creating diverse and inclusive organizations'.